Hopefully this recipe has found you just before your healthy New Year’s resolutions have taken effect. I was inspired to make this after enjoying Whataburger’s Green Chile Double. Whataburger is one of my husband’s favorites and I’ve come to love their specialty burgers! My favorite was their Avocado Bacon Burger which was retired to make way for the new limited-time only Green Chile Double. New favorite! With a little research I learned that this yummy burger is only available in Texas, Oklahoma, New Mexico and Arizona. If you don’t live in one of these states, or if you love this burger and want to replicate it at home, try this easy recipe! A lot of Whataburger’s burgers come on Texas toast, which is so good, so that’s what I used (even though their Green Chile Double is served on a bun). 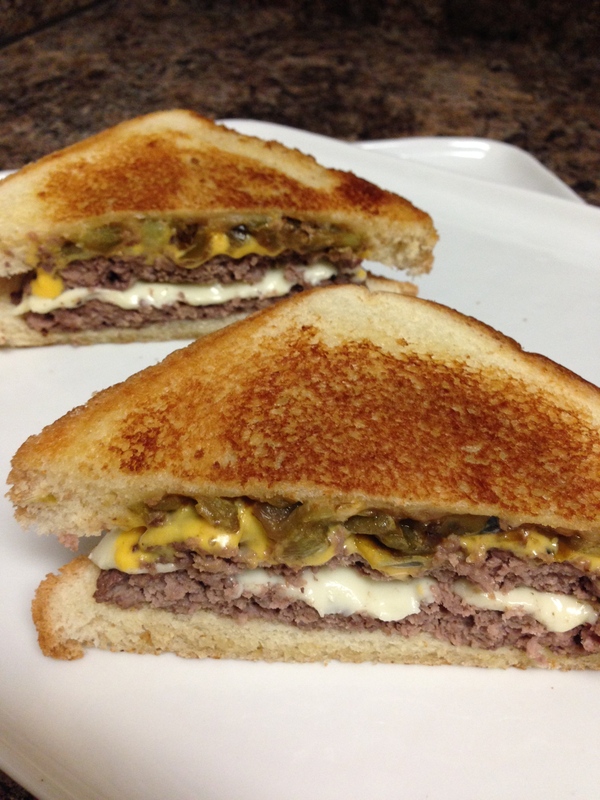 The Green Chile Double is served without condiments but add whatever you’d like! I seasoned my hamburger patties with salt, pepper, and garlic powder and then cooked them in a skillet until medium-well. While hamburgers are cooking, wash green chile, cut in half and remove seeds and ribs. Place pepper halves, skin side up, onto a baking sheet and place under oven broiler. Keep an eye on the peppers and remove them from the oven when their skins are lightly charred. Let peppers cool slightly. Leaving the pepper’s skin on, chop pepper into small pieces. 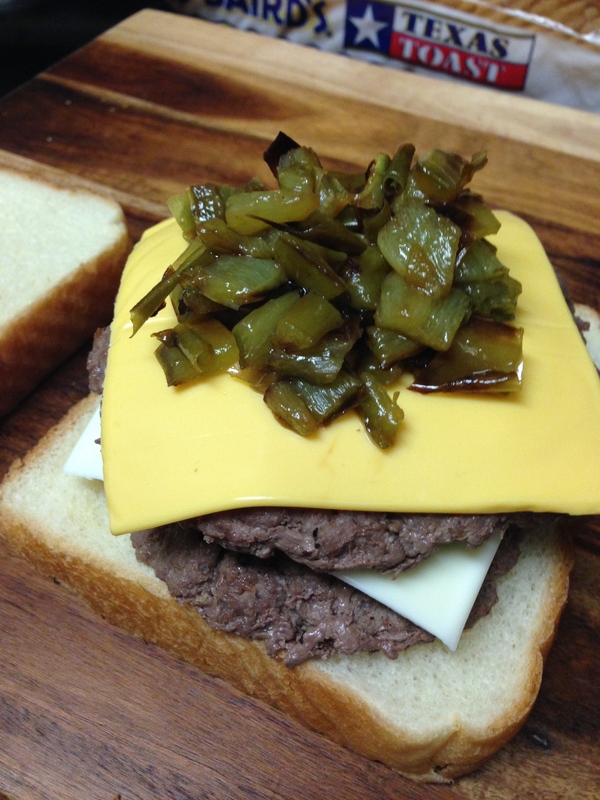 Now assemble your burger, alternating beef and cheese patties, top with green chiles. 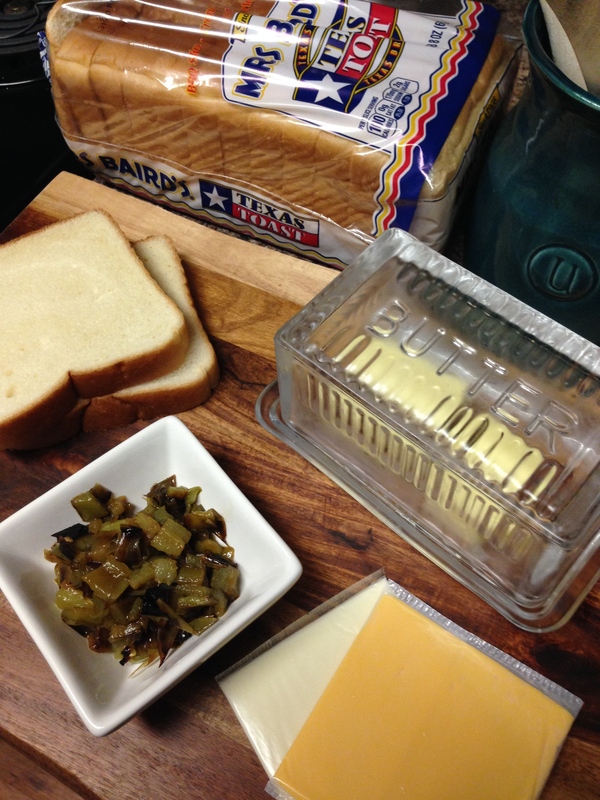 Lightly butter the outside of the Texas toast. Place in a skillet over low heat. Toast sandwich on both sides, remove from heat when cheese has melted. I hope that you enjoy this favorite of mine, it’s such a yummy treat! It’s a favorite around here… I hope you give it a try! THANK YOU SO MUCH!! I’ve been dying to make these instead of just going and buying them! 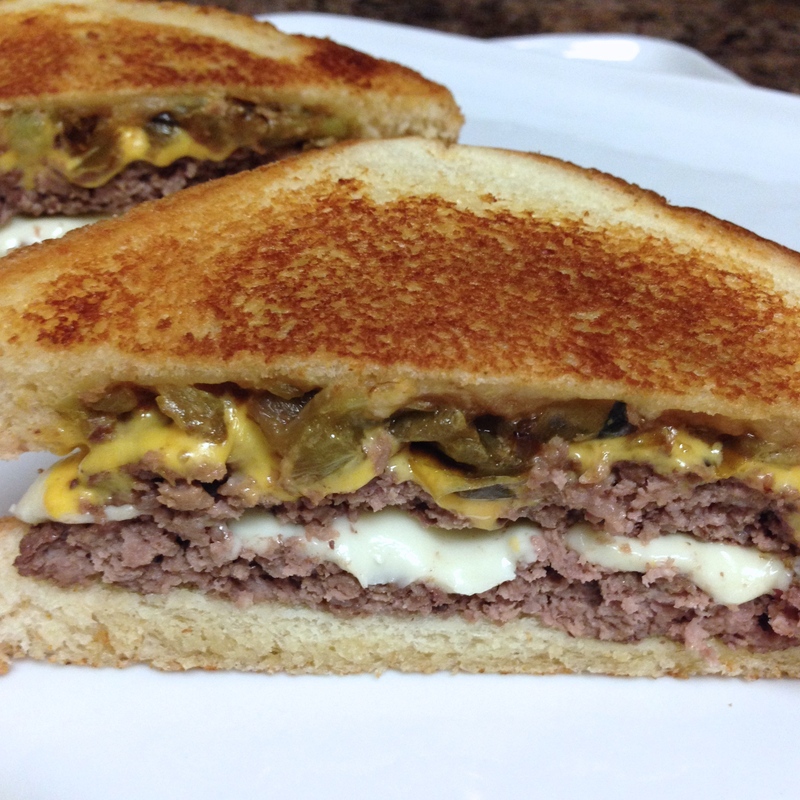 Our local Whataburgers have retired the Green Chile Double, I’m so glad that they’re easy to make at home. It’s a little more time consuming than going through a drive-thru, but worth it! Man oh man thank you forever. Its my all time favorite Whataburger burger an its discontinue in my city. When it came out I went everyday, no lie. I miss and love it so much. Thank you!!!!!!!!! !